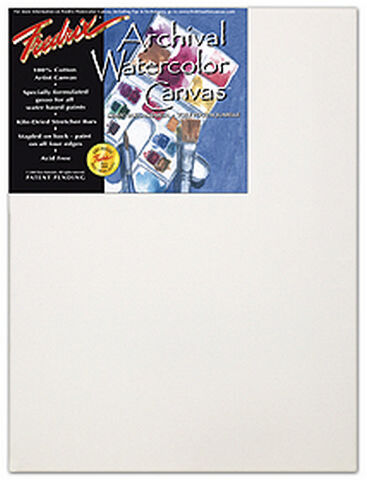 Fredrix Pre-Stretched Watercolor Canvas is a 100% cotton artist canvas which combines the texture of a natural, woven fabric with a specially formulated gesso designed for all water-based paints. It is versatile and durable. It will not tear like paper and you can lightly lift out pigment or completely wash out your painting surface without damaging the canvas surface. The canvas is stapled onto the back of standard stretcher bars. Paint on all four edges and hang it with or without a frame. 66 points will be rewarded when you are logged in to your account and buy this item.